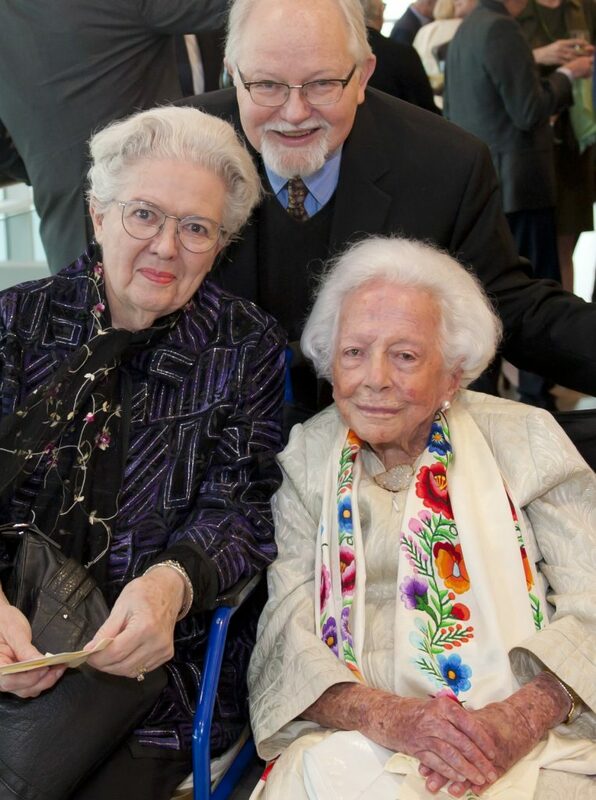 Margaret McDermott was the philanthropist extraordinaire in a city of philanthropists. She relished her city and, within it, her beloved Highland Park, and her contributions knew very few bounds. A list of the institutions and individuals to whom she made generous contributions would be so long as to defy comparison. Her gifts varied from multi-million-dollar commitments for capital and endowment at major and minor Dallas institutions to small acts of charity to her friends and their children. Her love of UT Dallas was boundless, even as she demonstrated deep involvement with the programs and financial health of the two non-Texas universities to which she devoted so much of her life, MIT and Stanford. UT Dallas received a lion’s share of her generosity, including many chaired professorships, the Wildenthal Honors College, the Eugene McDermott Scholars Program, the Brettell Award in the Arts, and the transformational landscaping designed by her friend and the first recipient of the Brettell Award in the Arts, Peter Walker. One of Margaret McDermott’s last extraordinary acts was to invite Peter Walker’s entire Berkeley-based firm–35 people–on an all-expenses-paid visit to Dallas, and the last dinner party of the many thousands she hosted in her long life was held in honor of Peter and his team. She spent hours visiting with each of the visitors and stayed up well past her bedtime–whatever that might be for a woman of 106 years. Margaret will remain for a very long time the largest donor to UT Dallas in our short but intensely productive history. Because of her, the University’s aspirations toward excellence were fulfilled much more quickly than anyone ever expected. And, if she had any regrets before her death, it was that she would not be able to celebrate UT Dallas’ 50th anniversary, which we will celebrate in 2019. There was another institution to which Margaret McDermott was committed for decades, The Dallas Museum of Art. Indeed, she created a truly global art museum from one that had been a regional institution in her youth. Its holdings of African, Pre-Hispanic, and Indonesian art are due almost solely to her leadership and financial commitments, and there is not a single collecting area in the museum that has not been enriched by her. I spent my first day following her passing walking through the DMA and visiting the hundreds and hundreds of works of art given by her, purchased from funds donated by her, and given in honor of her dearest friends. She worked and chatted and gave and supported and enjoyed until the last week of her long life, filling each day of her calendar with the people she adored, with music, art, gardens, theater–you name it. If anyone lived life to its fullest, it was Margaret McDermott. We all have “Margaret stories.” Now is the time to share them. I am lucky to have been named the Margaret McDermott Distinguished Chair in Aesthetic Studies–the first chair in her name, created with a gift from her dear friend, the late Nancy Hamon. I also had the pleasure and privilege of co-authoring, with her, her final publication: Reflections, which we wrote together and which was published by her dear friend Rue Judd with wonderful photographs and short essays. Now that she is gone, the boxes and pallets of books completed several years ago will be released by the institution to which she was so committed, The Dallas Museum of Art. When the paintings and sculptures she bequeathed to the museum are installed, her beloved DMA will reach another level in its long climb to international excellence.